Interdisciplinary Journal of e-Skills and Lifelong Learning. The Europe, Middle East and North Africa Conference on technology and security used to support learning (EURO-MENA TSSL2016, Springer), Faculty of Sciences Oujda, University Mohammed First Oujda Morocco. International Conference on Computational Techniques in Information and Communication Technology (ICCTICT-2016, IEEE Delhi), New Delhi, India. InSITE – Informing Science and IT Education Conferences (2012, 2013, 2014, 2015, 2016, 2017) – Informing Science California, Santa Rosa. ICTIC 2016 – Information and communication technology – The 5th International Conference, Publishing Society, Slovakia. E-Skills for Knowledge Production and Innovation (2014 South Africa); Complexity, Cybernetics, and Informing Science and Engineering: CCISE 2014. WorldCist’17 – 5th World Conference on Information Systems and Technologies”, Porto Santo Island, Madeira, Portugal. BADEN: BALKAN DISTANCE EDUCATION NETWORK (ISSN: 2334-9220). TEMPUS PROJECT: Enhancing the quality of distance learning at Western Balkan higher education institutions DL@Web, Membership of the Editorial Board in Newsletter “Balkan Distance Education Network”. Faculty of Technical Sciences, University of Kragujevac. 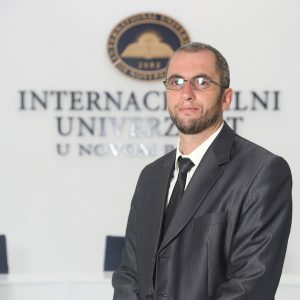 International Conference “Pedagogical development of the individual in the era of information technology”, Novi Pazar, (25.04.2015), University of Novi Pazar.